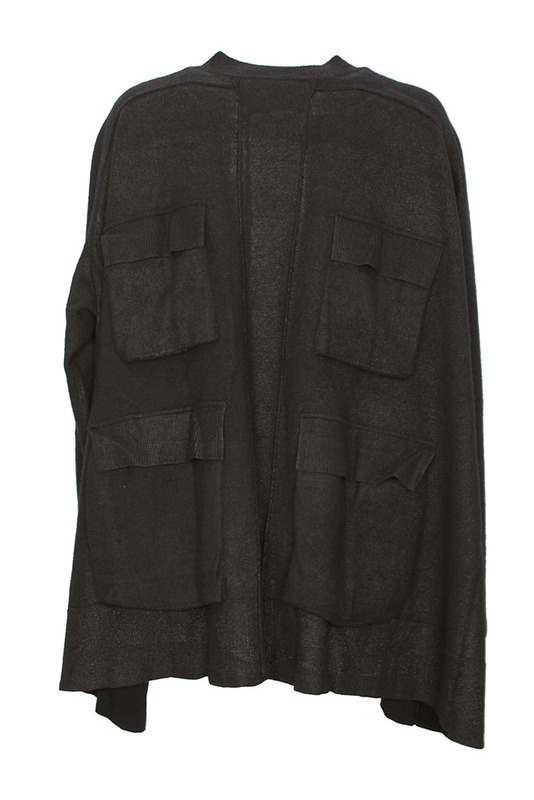 Rundholz Dip Collection knitted, long, oversized, zip cardigan in blue black colour. The fabric has been treated to give a slight shine and distressed look, quite used military style! Round neck with shaped ribbed trim. Double zip with knitted pulls and covering placket. 4 patch pocket, with concertina at base and side, with flaps. Deep ribbed waistband. On the rear there are 4 concertina style pockets with flaps and a central panel with seam details. Knitted ribbed cuffs. 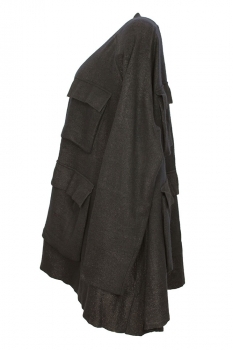 Most unusual and very wearable, heavy, distressed finished knit, highly recommended!